The frost patterns were impressive and your food looked delicious. I saw that film ‘The Square’ and thought it difficult to understand. Susan, I think the premise was wrong from the very beginning. And from there, it just went downhill. 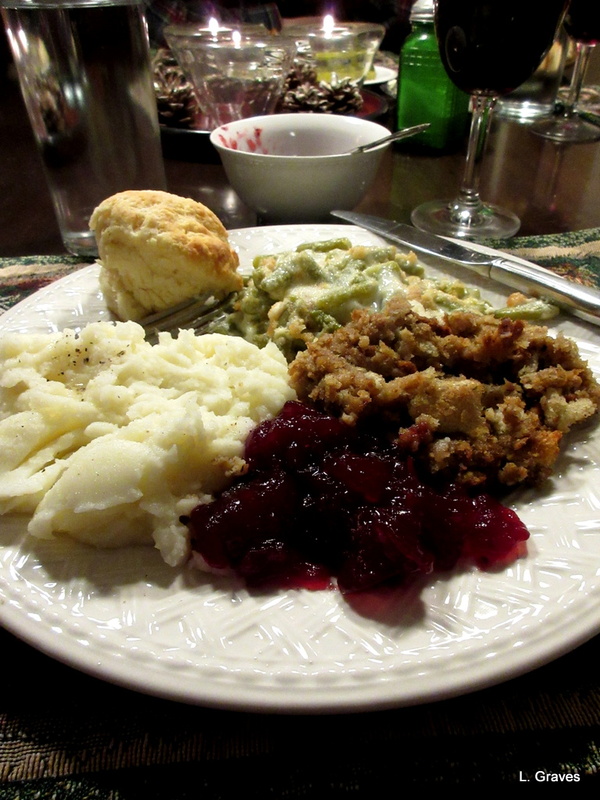 A yummy feast – looks delicious! 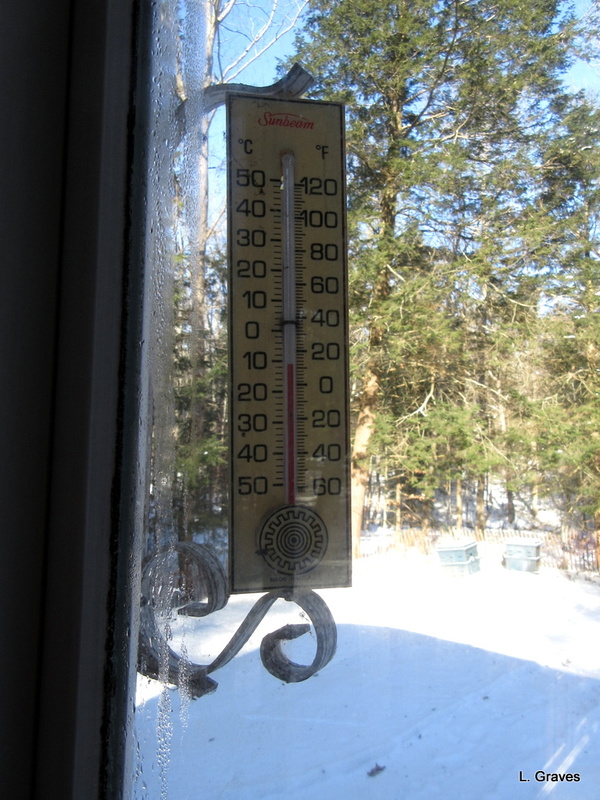 It was 3F this morning when I got up. 😮 I’m ready for the return to more ‘normal’ November temps! Thanks, Eliza! Fortunately, the temperature did return to normal for November. Sounds like a wonderful meal and a relaxing day. Your frost ferns are a work of art. Same temperature here – darn brisk. 🙂 Food looks delicious and I’m thinking about our leftovers right now. 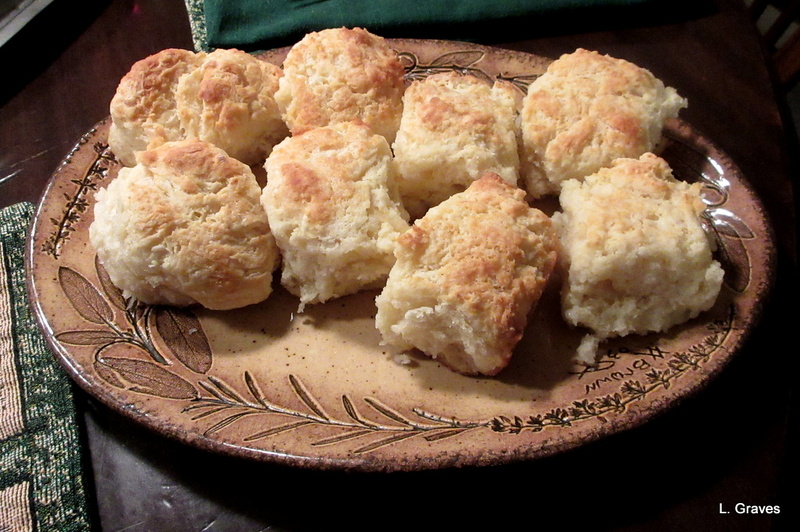 I love biscuits, though we don’t include them in our Thanksgiving meal. I also watched the Ballad of Buster Scruggs. I thought it was fun. Last night my son David and I watched The Death of Stalin, which is a good movie if you like Russian history and very dark humor. Daughter Dee LOVES biscuits and as they are a snap to make, they were included this year in our celebration. “The Death of Stalin” is on my list. 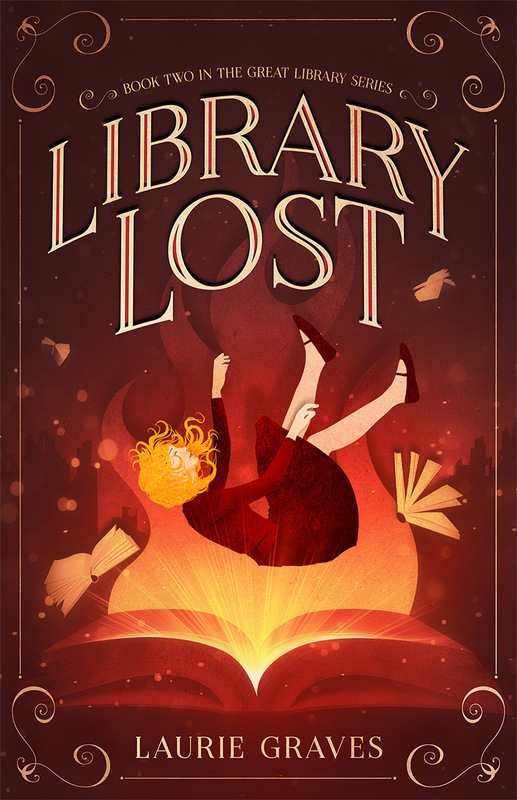 I’ve heard good things about it, and I am just fine with dark humor. The fern covered door is spectacular. On another note my favorite breakfast is hot biscuits, comb homb honey and a side of bacon. My biscuits are not as good as th memory of my mother’s. Many thanks! Yes, a perfect time for movies. In my next blog post, I’ll have two more to recommend. I do love the patterns on the windows, and I bet your little cat still has her head under the covers! (I guess you are still missing your old dog) We have seen a few Coen brother movies, so we’ll look out for the Ballad. Belated Happy Thanksgiving to you and your family. Thanks, Gerry! Yes, we still miss Liam very much. Makes me a little teary eyed to think about him. Lovely shots of frost. Here the temperature is still quite mild. The food is very tempting. Thanks, Derrick! 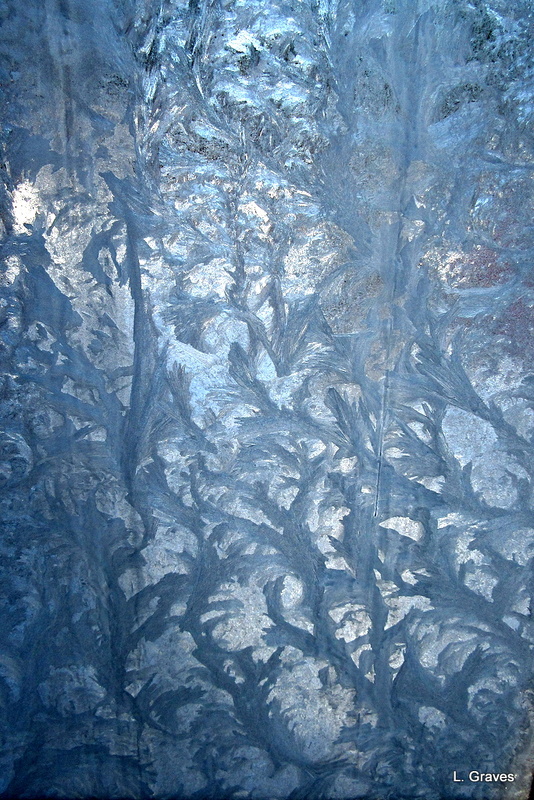 Pretty chilly when there are frost ferns on windows on the windows and doors. Oh how I (don’t) miss single digit mornings in November! Your biscuits look very tempting, Laurie! Many thanks! 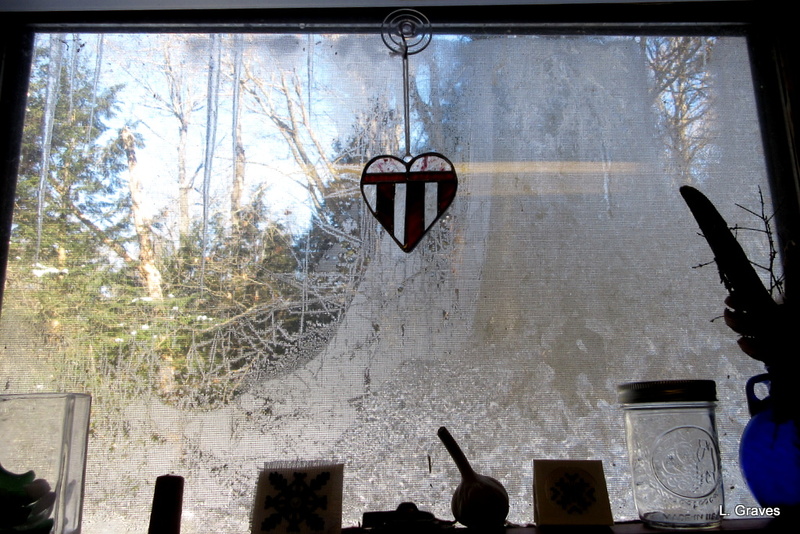 Those Mainers who stay for the winter are very hearty indeed. Delicious-looking food, Laurie and thank you for the photo of your biscuits. The frost ferns are very beautiful and like Derrick, I am reminded of the unheated house I grew up in. We had a coal fire in the living room and that was all. Thanks, Clare. I expect your family gathered in the living room when the weather was cold. Wow. You’ve made me very hungry indeed. That sounds delicious. Thanks, Cynthia. As my Yankee husband would say, pretty darned good.